Launched on October 6th 2010, Instagram filled a big gap in the market; it was the first image focused social media platform of its kind. It’s popularity was evident after it hit 100 thousand users within its first week. Just 9 weeks later, Instagram hit 1 million users; a huge feat by any standards. Initial developments of Instagram were functionally lacking with no version for the Android operating system, it was solely focussing on IOS. It was clear that Instagram were missing out on millions of potential Android users; so right around the time when Facebook purchased the app for $1 billion in April of 2012, Instagram launched an android friendly interface that soon split the userbase 50/50. 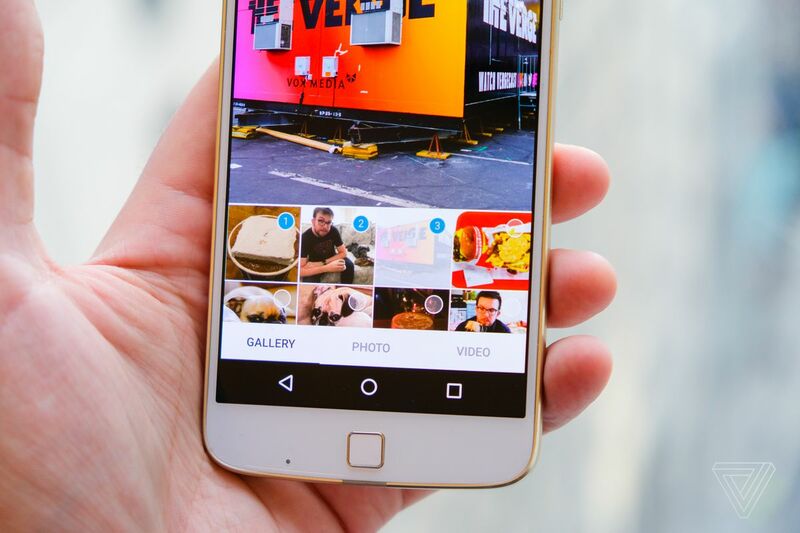 The new Android compatibility also led to Instagram hitting 50 million active users. 2012 also saw the launch of a desktop friendly instagram, allowing users to access the App from a desktop to view and interact with photos, but not post. In an attempt to keep updating and improving the app, the brand decided to launch an Explore page. This showed users content from personal and brand accounts that they were likely to be interested in based on their recent searches, tags, location post and accounts followed. As instagram’s popularity grew small trends such as Throwback Thursday, selfies, and hashtags began to appear. In early 2013 less than 3 years after its launch, the app reached over 100 million active users, propelling it into the top 15 most popular social media platforms in the world. In 2013 Instagram decided to introduce video onto its platform. This allowed users to shoot 15 second videos to post on Instagram, to improve interaction with followers through providing an insight into the user's lives. The maximum duration of videos was then extended to 60 seconds in early 2016, allowing creators and brands to communicate with their audience easier. The ability to share your Instagram posts on other social media platforms was introduced in July of 2013, when Instagram gave users a quick and easy way to share a photo to multiple social media platforms at the same, all from one app. Instagram decided to make a major update to their direct messaging feature in mid 2015 after leaving in stagnant for 2 years. With the update came a lot of new features, with the introduction of giant emojis, chat threads, and the ability to share posts from your feed to direct messages being a few of them. Chat threads was unquestionably one of the most useful updates as it made keeping up in group chats easier. Instagram also made it possible to change a group chat name, which was already a feature of most other popular social networks. In late 2015, Instagram released Boomerang; an app which let users shoot a burst of 5 photos which was changed into a short, silent clip that would loop back and forth. Boomerang was a standalone app that allowed users to save or share the clips on social media. The app was initially met with skepticism as many simply saw it as a gimmick that would rarely be used. However, over time Boomerang grew in popularity and now is a very popular addition to the app, especially since users are now able to create Boomerangs within their instagram story. Live video streaming is the latest craze in the digital world with many different companies fighting over top place. Instagram launched their own livestreaming platform within the app in 2016, and it has undoubtedly taken off. When you go live, Instagram only sends notifications to followers who they believe would be interested in your stream, not all of your followers, to avoid one of the major problems that Periscope (another popular livestreaming platform) faced early on. Users can also see if someone they follow is live through a launch bar at the top of their home screen. Live streams have been used for wide variety things, from interacting with followers to showing the behind the scenes of a big event. Instagram also allows users to interact and express their thoughts during a livestream by commenting. In August 2016 there was the introduction of Instagram stories, a feature allowing users to share moments from their day, in the form over a clip or photo lasting up to 10 seconds, which would disappear after 24 hours. Many criticised the feature for being strikingly similar to Snapchat stories and believed that the new feature would result in a decline in the number of people using Snapchat; which is what happened to some extent. Although the function of Instagram stories was theoretically identical to that of Snapchat, there were still some underlying differences. 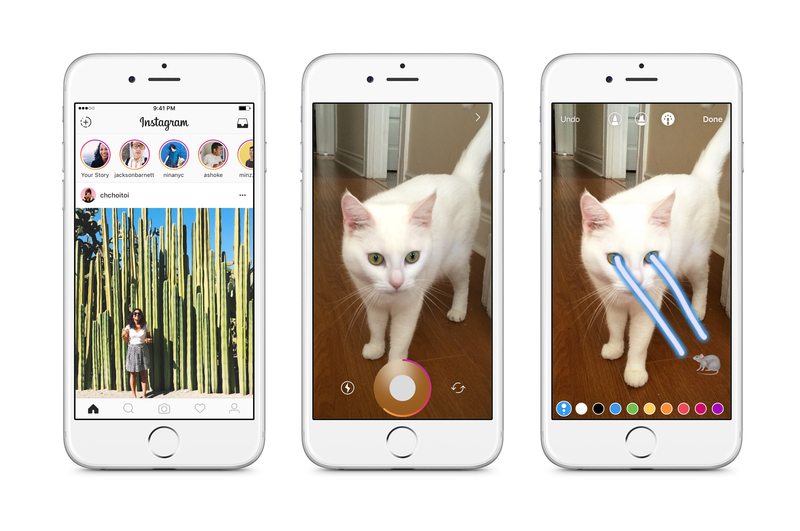 Upon release, ‘Insta stories’ was fairly lacking in features and didn’t include many of the flagship features of Snapchat, such as face filters. Also, Snapchat posts could only be viewed consecutively, whereas Instagram stories allowed the user to tap back to previous posts. Nonetheless, stories on Instagram have soared in popularity and is one of the most used features of the app, with more than 150 million people using them everyday. As mentioned previously, Instagram also integrated Boomerang into their stories, which up until that point had been a standalone app. The launch of stories also evidently had some impact on the growth of Instagram’s user base as between June and December 2016, the platform went from 500 million to 600 million active users. This could well have been because many no longer saw a use for Snapchat and migrated to Instagram. Location stickers emerged on Instagram in March of 2017 which, as the name suggests, give users the ability to place a sticker of their location on their story posts as long as they are in a location that has stickers. This was seen by many as another example of Instagram directly copying Snapchat who had implemented a similar feature sometime before. Only a couple of months later, Instagram had virtually taken every one of Snapchat’s big features when face filters were incorporated into stories this May. Although the filters aren’t as polished or advanced as the ones seen on Snapchat, they were well received and are constantly being updated and improved, so it won’t take long for Instagram to catch up. 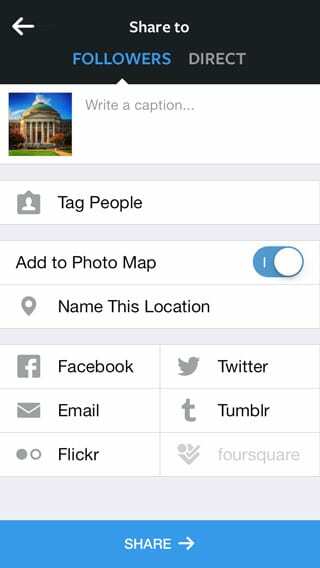 Earlier this year, Instagram released a new update which included their new album feature. The update made it possible for users to combine up to 10 photos in a single post, allowing others to swipe through and view each photo, sort of like a slideshow. The option of album posts had been available to advertisers for some time before it was released to the public. The album feature is somewhat similar to the already popular stories, the one main difference is that slideshows are permanent. One major complaint about the slideshows is that users cannot reorder the images once they have been posted, and individual images from the slideshow cannot be deleted. Some also complained that it isn’t possible to geotag a different location for the different images, but Instagram said the new feature was inspired by those who just don’t know which photo to post from a certain event, so the inability to geotag different locations would make sense. With the huge growth of the platform in recent years, especially in the marketing world, Instagram is continuously looking for new ways to allow companies to advertise on the app. 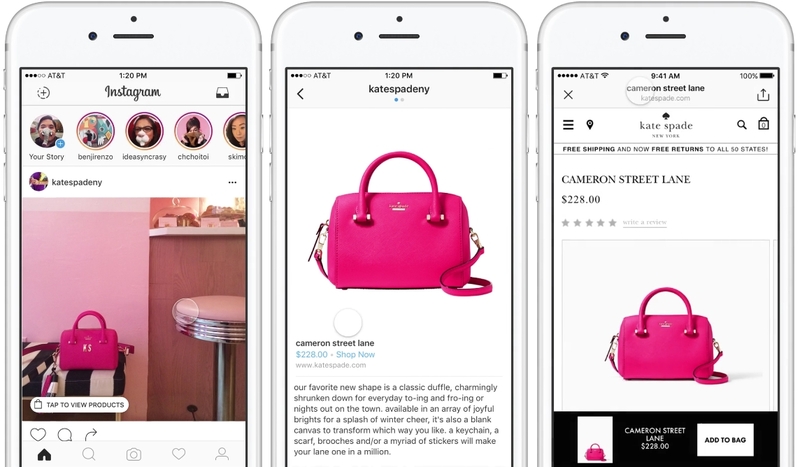 Just a couple of months ago, Instagram rolled out shoppable posts. The new feature allows brands to tag products in (non-paid) posts, which users can click to be taken to the site to find out more about or purchase the product, however is only currently available to business accounts. Brands can tag up to 5 items in a single post which users can click if they are interested in the product. Right now Instagram is growing faster than ever, with more than 700 million total users, 200 million daily users and an average of 95 million posts every day; and it doesn’t show signs of slowing down anytime soon.